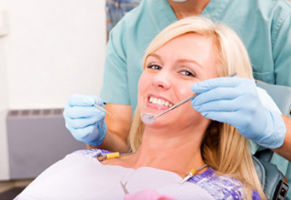 Why is it so important to see your general dentist at least twice a year? Prevention. It really is that simple. Your regular visits give your general dentist the ability to spot problems early on, or even prevent them from occurring, saving you time and possibly costly dental treatments down the road. Each of these measures helps us help you by keeping your smile healthy. Recent research points to a powerful mouth-body connection, showing that a clean mouth can help you keep your heart strong and your mind sharp. Regular visits to your general dentist should become part of the healthy lifestyle and fitness routine you create for yourself and your family.